The popularity of commercial baby food in recent decades has had a major impact on what we assume babies need. But not to take for granted what you feed your child in his or her earliest months and years. 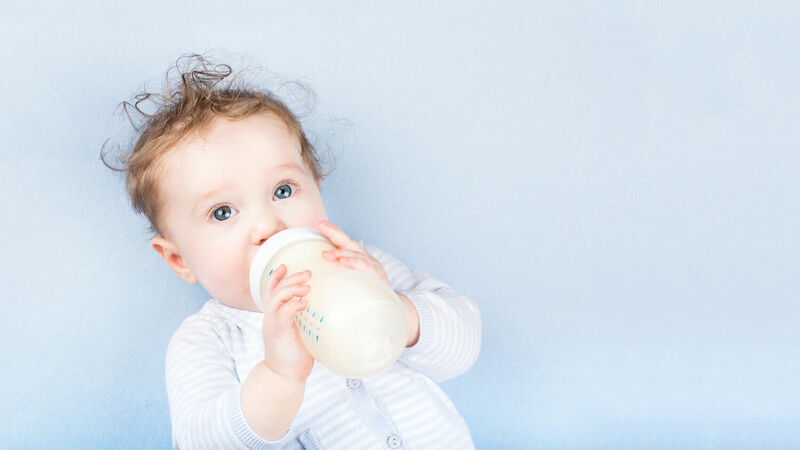 Manufacturers spend millions marketing infant formula, baby food and beverages for toddlers, assuring parents their products are nutritious and healthy. But many ingredients in commercial baby food are not only ultraprocessed, but also contain contaminants. For babies, breast milk is healthier than commercial formula or baby food. It contains more than 200 components that play a role in general development and growth, and it encourages the growth of helpful bacteria that can inhibit many parasites and unhealthy bacteria. In fact, breastfed infants typically have a level of lactobacillus 10 times greater than that of formula-fed infants. This leads to fewer illnesses and deaths during the first year than babies who are fed formula, according to tensteps.org. Academy of Nutrition and Dietetics spokeswoman Angela Lemond said that breast milk is the “gold standard” liquid nutrition in a baby’s first year of life (cbs News). Breast milk is living biological nutrition that researchers continue to associate with long-term health. As they analyze various factors associated with different diseases, they often find that children and adults who were breastfed as infants have experienced fewer health problems as they have grown. Breast milk is nutritious, but formula and baby food are profitable. Many store-bought baby foods now contain organic ingredients, but closer inspection proves they are still not as healthy as we might think. Infant formulas are typically processed under high heat, leading to the formation of advanced glycation end (age) products. These sugar molecules attach to and damage proteins in the body. Studies prove that infant formulas processed with high heat may have 100 times more age products than breast milk. Infants switched from breast milk to commercial formula within the first year of life have double the level of ages found in people with diabetes (ScienceDaily 2011). According to the Archives of Diseases in Childhood, a study comparing 479 commercially available baby foods found that 65 percent were sweetened. Babies soon learn to crave that artificial sweet taste. When they grow up, they continue to be heavy sugar consumers, which has led to epidemics of diabetes and obesity, even among young children. Baby foods also include industrial vegetable oils, corn syrup, preservatives, emulsifiers and refined flours. Even natural flavors are usually made from complex compounds designed to create flavor addiction (The Alpha Parent). Shockingly, many baby foods are not tested for heavy metals. Ellipse Analytics, an accredited laboratory in Denver, Colorado, and the nonprofit Clean Label Project tested 700 baby foods and early toddler foods for toxins, and 35 percent of the samples tested positive for lead (TMJ4.com). The Environmental Defense Fund also found detectable levels of lead in approximately 20 percent of baby food samples tested over a decade. Current standards for amounts of lead baby food do not reflect the latest science about potential health risks. Research has shown that even low levels of lead in blood can affect IQ, ability to pay attention, and academic achievement. The Clean Label Project also tested 530 baby food products, and 65 percent of them tested positive for arsenic, 58 percent for cadmium and 10 percent for acrylamide, a chemical linked to cancer and brain damage. In inorganic baby foods, traces of pesticides are also present. A test conducted by the Environmental Working Group, found up to 16 pesticides in eight leading baby food brands, including three probable human carcinogens, eight neurotoxins, five pesticides “that disrupt the normal functioning of the hormone system, and five categorized as oral toxicity category one, the most toxic designation” (OneGreenPlanet). A 2009 Guardian article stated that some main baby food brands are less nutritious than a cheeseburger. They contain less than a fifth of a baby’s recommended daily supply of calcium, magnesium, zinc, iron and other crucial minerals(University of Greenwich 2012). In essence, many babies fed solely on store-bought formula milk and baby food are being raised on junk food. It is less convenient to nourish your baby the healthy way, but the result of this effort frees his or her little growing body from industrial vegetable oils, corn syrup, preservatives, emulsifiers, refined flours, sugars, gram-negative bacteria, pesticides, carcinogens, neurotoxins, arsenic, cadmium, acrylamide and lead, and provides a better start to a healthy life.